Author, A. J. Llewellyn » It’s Coming! It’s Coming! 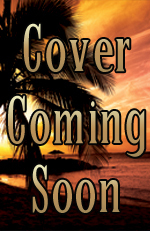 I’m so excited to announce that DARK PARADISE: MYSTERIES FROM THE LAND OF ALOHA is coming soon! All the proceeds of this anthology go to benefit writers in the land of Aloha via Sisters in Crime, Honolulu branch. Big cover real on April 3, but in the meantime let me tell you it’s a mystery-packed book of 17 short stories and they are awesome! Some of my favorite authors are involved – including Laurie Hanan, Gail M. Baugniet, Bob Newell (Love his Jimmy Chan stories! ), Alain Gunn, Lizbeth Hartz, Gay Coburn Gale, Rosemary and Larry Mild, Michael Little, Doris Chu, D.W. Scott, David W. Jones, Shauna Jones, D.V. Whytes, Hannah Cheng, Carol Catanzariti, and there’s a foreword by Toby Neal. On April 3 you will be able to access the Facebook page for Dark Paradise where you will see the cover, and tons of tidbits about the authors and their stories. Here is the link but it will not work until April 5! My Story, Wait For Me, features my new Hawaiian private eye, Danny Morales, who helps an old buddy with the brutal murder of his mother-in-law. Danny gets unexpected help in his inquiries – from another killer. The idea came to me after studying a really bizarre case in my forensic analysis class at USC. I love these classes, even though they give me sleepless nights. Viewing crime scene and autopsy photos is nothing like watching them on TV. They are creepy! I love Danny and have had so much fun creating this new character!